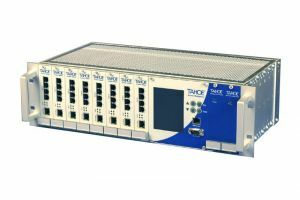 The Tahoe DSL Access Multiplexer is a perfect solution for large DSL providers requiring concentration of a high number of DSL lines in small space. The Tahoe DSLAM consists of a lightweight 19" 3U rack-mounted case having 8 slots for modem cards, a management card and two redundant power supplies. The power supplies provide full redundancy and can be hot swapped in case of power problems. Currently a 4-port G.shdsl+ card Tahoe 4681 is available giving a total capacity of 32 G.shdsl+ lines. Each line may work separately or they may be bundled within the card into 4-wire (11.4 Mbps) or 8-wire (22.8 Mbps) trunks. Card versions of other Tahoe modems and converters are planned in the near future. The management card has a 4" color LCD display, 4-button keyboard, Ethernet port and serial console port. 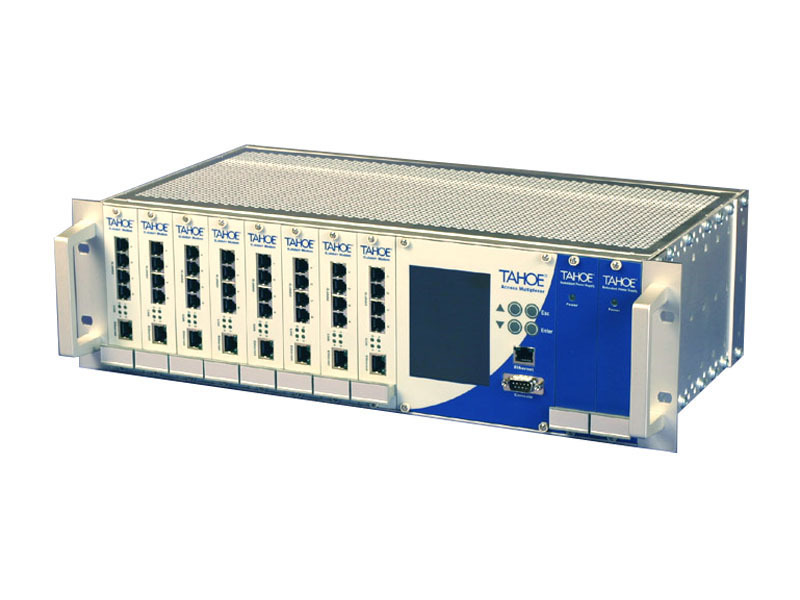 It allows a centralized control of all devices in the DSLAM. Besides gathering statistics and setting up all the modem cards you can connect to the management card using telnet or SSH and then connect to the modem's console using DSLAM's internal serial connection.